I have to admit that with each passing year I find less and less albums that I truly love enough to listen to straight through on multiple occasions. I’m not sure if that is a reflection of the current state of the music industry or just my own personal listening habits. I still think there are tons and tons of fantastic tracks being made on a yearly basis. I’m just not finding a lot of them strung together on the same album release it seems. There are still rays of hope out there for the future of the album format. Rookie bands like Rolling Blackouts Costal Fever, Soccer Mommy and Foxwarren delivered the goods and have my complete attention moving forward. Anyways, without further ado, here are 10 of my favorite albums of 2018 followed by 25 of my favorite songs from this calendar year. 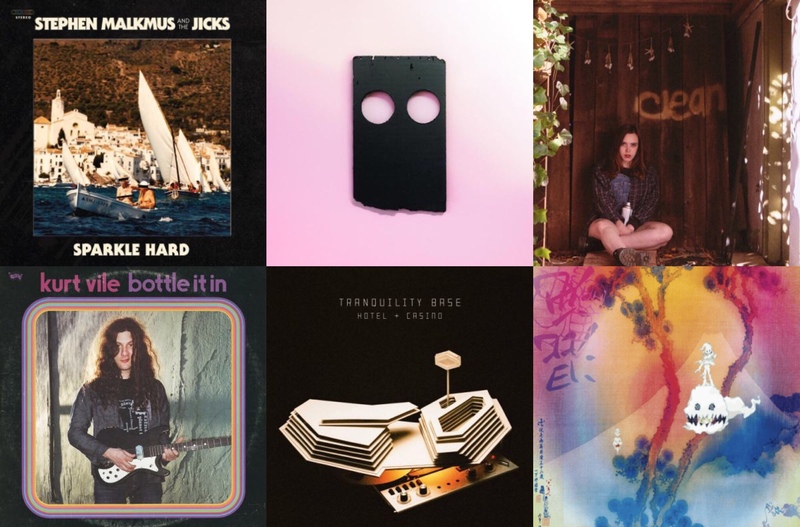 It is a pretty eclectic list that leans hard on indie rock but with a handful of hip hop jams sprinkled in. Also thank you to anyone who has read this site over the last few months. It is very much appreciated. Next Can we talk about how awesome a year 2002 was for indie music?